Since the days of helping my dad on his allotment garden as a young boy I have always loved gardening. Although my dad no longer has the allotment garden he still enjoys growing his own fruit, vegetables and herbs and whilst I am much older now it remains a lovely way of spending precious time with him. As so many species of Sage exist within the world of essential oils I want to write a little article about this delightful herb of which I hope you find of some use. Now whilst it seems to be quite difficult to get a definitive answer as to how many species of the Salvia genus exist today, the numbers seem to range from as little as 800 to as many as 1000 at the time of writing (19/1/13). 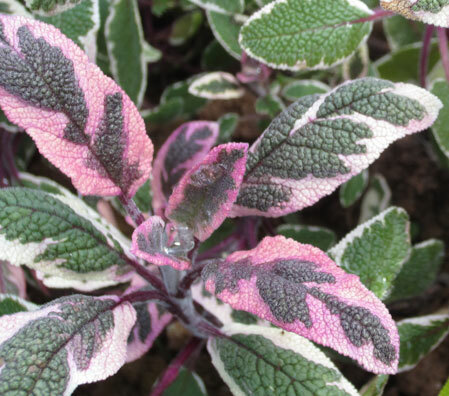 Sage is a perennial shrub usually exuding a greyish colour which I have come to realise is due to the glandular hairs on all aerial plant parts. Sage species grow all around the world however the vast majority of Sage species can be found in abundance in three areas. The first is Europe, Salvia officinalis being possibly the most common throughout as it seems to be a species that really does adapt and thrive in a multitude of climates ranging from sea level to about 1500m elevation. In Spain I think Salvia lavandulifolia is the probably the common species however I also feel it is frowned upon by the wider audience of therapists partly because its aroma is more Eucalyptus like in nature than herbal and of course this is because the chemistry features about twice as much Eucalyptol on average than the regular Salvia officinalis species which is far more herbal in aroma. In the Mediterranean you will find Salvia triloba and this species does have a huge variation in its chemistry dependant on where it grows in the Mediterranean. This species is actually known now as SALVIA FRUTICOSA but I’m continuing to list it under the more widely recognised name S.triloba. After Europe the two other parts of the world Sage is largely found are South East Asia and also across the South and Central parts of America. I would like to add however that personally I still think the most interesting Sage species chemically speaking can be found in South Africa. The latin name for this species is Salvia stenophylla. This species is literally the only salvia species that I am aware of which contains epi-a-bisabolol and at a mind-boggling 40% no less. Epi-a-bisabolol is an oxygenated sesquiterpenoid (super rare in Sage species) which has a charismatic woody odour. This natural occurring constituent has sensational anti-inflammatory properties and if the opportunity should ever arise I will stock as many South African Sage species as I can get because they offer something different to the perfumer and therapist. Although the levels of naturally occurring components found in Salvia species do vary I think generally you can expect to find at least 100 volatile components of which are chiefly terpenoid molecules (classed by the number of isoprene units in the molecule) – monoterpenes and triterpenes. Diterpenes are commonly found in the roots, however according to my reading in the instance of species of American origin, diterpenes are also found in the aerial parts. Flavinoids also feature greatly and include Rosmaric acid, which as the name suggests, is found in Rosemary and has exceptional anti-viral, anti-inflammatory and of course anti-oxidant properties. In fact Sage contains so many anti-oxidant properties that if you wish to preserve the shelf life of an essential oil blend (where possible) you will benefit by adding Salvia officinalis. A better option however for preserving a blend with a material that is flavonoid rich would be to consider Tea materials such as Black or Green Tea – the latter comprises of about 30% flavonoids alone by dry weight. You could also consider the carrier oil produced from Salvia hispanica and commonly known as Sage Seed or Chia Seed. The distillation process for all Salvia species is very straight forward – the ‘aerial parts’ which means plant parts above ground – so in this instance leaves (where majority of oil found is present in cells of the trichomes), flowers and stems are gathered and steam distilled. It is normal for most Sage species to be harvested twice a year, the time of harvest does vary in each country but again generally the bulk harvest time is in the June to November period. You find in milder climates and where there are quality irrigation systems that three harvests can be possible. In this instance the harvest time starts earlier, normally by April/May.